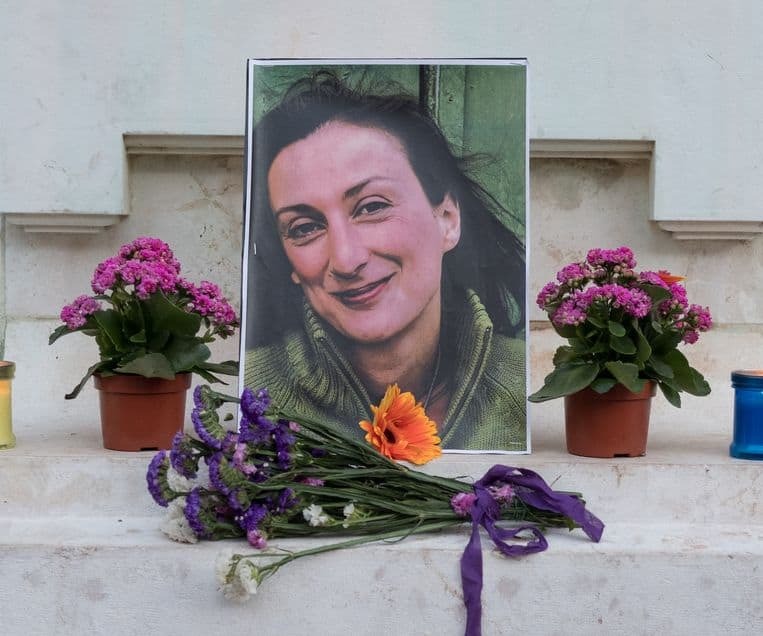 Dutch daily newspaper Trouw carried a detailed feature on Daphne Caruana Galizia including interviews with her son Matthew and sister Corinne Vella. From the article: “Caruana Galizia is, to a certain extent, still present everywhere in Malta, although the government prefers to close the chapter immediately. That government would rather speak about how fantastic it is to spend a holiday on one of the southernmost islands of Europe with more than 400,000 inhabitants, located on the azure Mediterranean Sea. But if you look closely you will see a deeper reality. In the middle of the capital Valletta, between the beautiful houses with wooden bay windows in red, green and blue whose stones get a terracotta-like glow in the sun, a monument commemorates the attack of the Ottomans on the Maltese. Below this, a memorial has been set up for the journalist. There are pictures and posters that call for justice. Here too the same red tea light holders (as the ones left in Bidnija). “Locks are attached to the fence just in front of the monument with the image of Caruana Galizia. Some tourists continue to look interested and take photos. To the evident annoyance of a few older men sitting on the benches in front of the monument. The old men urge the visitors to the memorial to leave. A strange spectacle, but according to activists and Daphne’s family, this is exactly what the government is after: putting the journalist away like a witch, making sure that her legacy is forgotten as quickly as possible, and moving on to the daily routine. In this climate, people feel free to remove the journalist’s photos every day. Hence the locks, some even with an alarm.